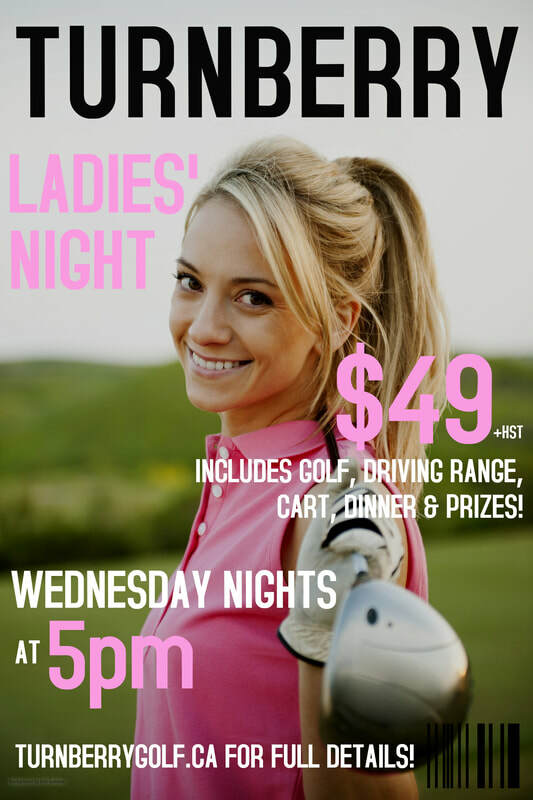 WEDNESDAY NIGHT IS LADIES' NIGHT! 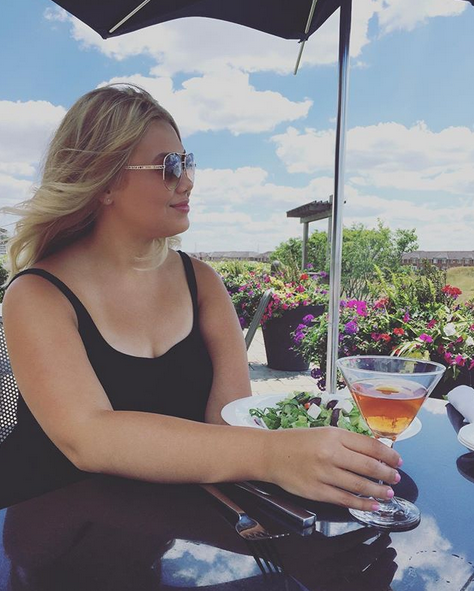 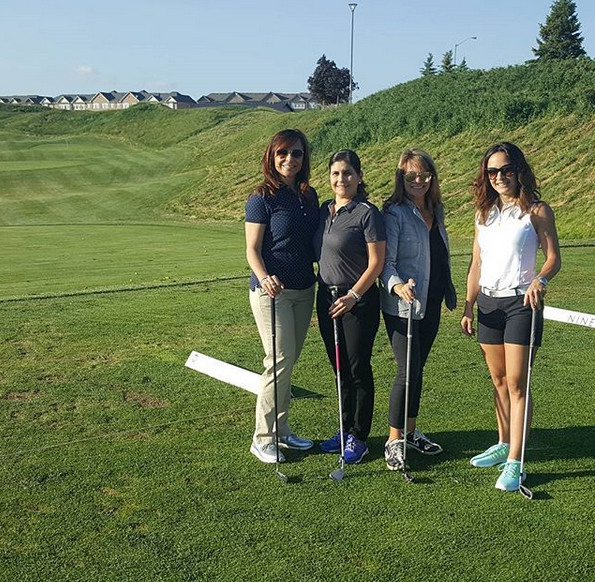 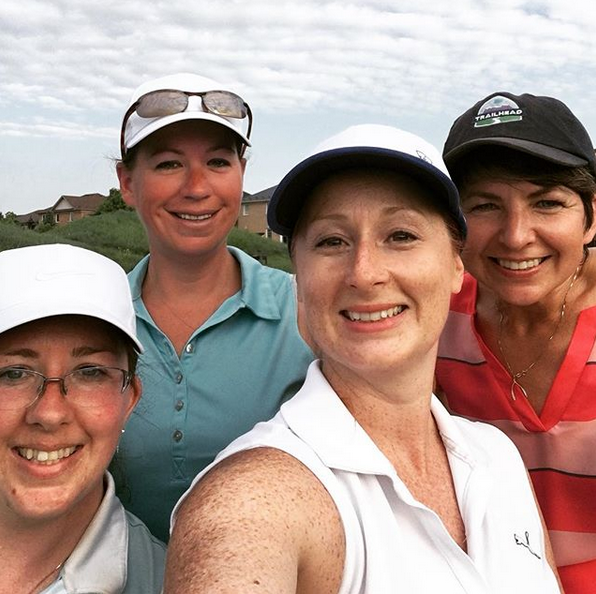 Wednesday Nights throughout the summer is Ladies' Night at Turnberry Golf Club and Restaurant NINE18! 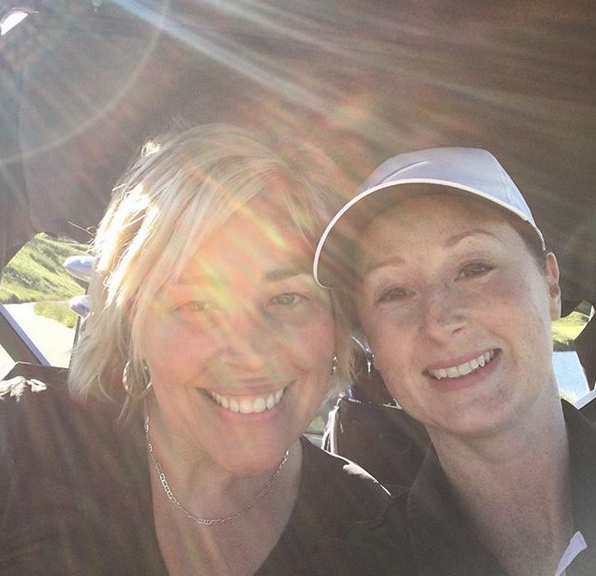 We welcome women of all ages to come play our golf course, eat a delicious dinner prepared by our incredible Executive Chef Carlos Perdomo, enjoy great drinks, win fun prizes, and most of all enjoy a night just for the ladies and all the tremendous Ladies' Night comradery that comes with it! 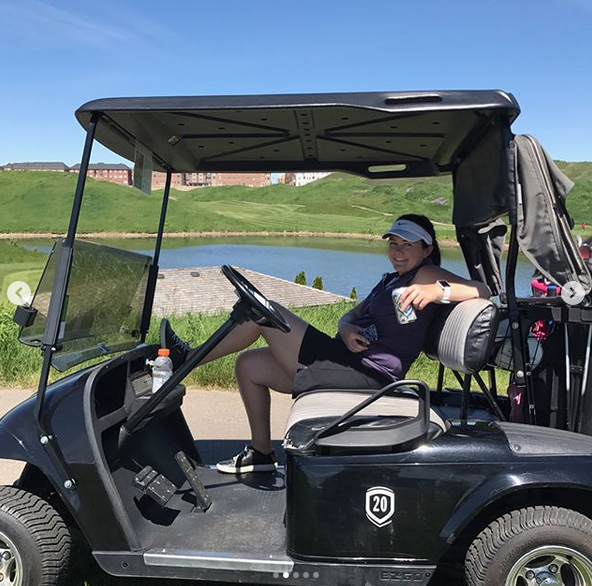 Includes: Golf, Cart, Driving Range, Dinner & Prizes! 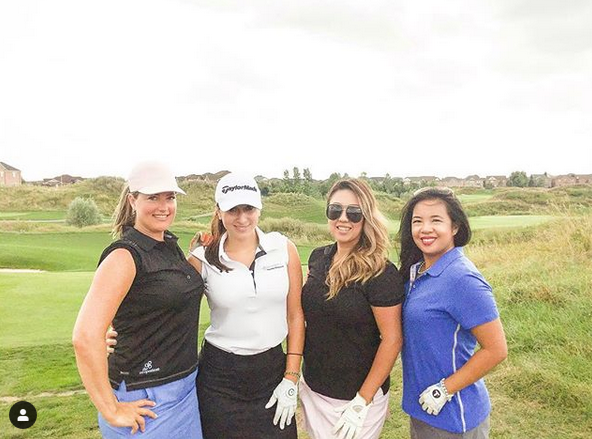 Contact the Pro Shop at (905) 500 – 4653 or email us at the golfshop@turnberrygolf.ca for more details!